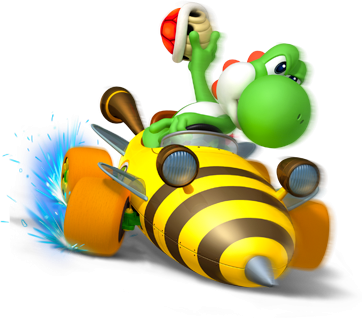 Yoshi - Mario Kart 7. . Wallpaper and background images in the Yoshi club tagged: yoshi nintendo nintendo characters mario kart games mario kart 7. Yoshi is ready to burn and BLASTOFF the ROAD!!! Blueyoshi97, I know about the nintento 3ds, But where are you going to get one?